Positive Detroit: Hatch Detroit Partners with Comerica Bank, Announcing 2nd Contest! Hatch Detroit Partners with Comerica Bank, Announcing 2nd Contest! Hatch Detroit announced today it will partner with Comerica Bank for the Comerica Hatch Detroit Contest, the nonprofit's second annual retail business competition. The bank will be the presenting sponsor of the contest, providing the full prize amount of $50,000 for the winning business idea and a significant amount of inkind support to further Hatch Detroit's efforts to help entrepreneurs in Detroit. "We founded Hatch Detroit on the premise that vibrant and diverse retail is the lifeblood of a thriving urban community," said Nick Gorga, co-founder of Hatch Detroit. "With Comerica's sponsorship, we are thrilled to bring together the energy and passion of the city's grassroots organizations with the breadth and strength of one of the city's venerable companies to help support, promote and fund the amazing ideas percolating in our city." Hatch Detroit launched in 2011 with overwhelming success. The inaugural contest garnered hundreds of Detroit retail business ideas and ignited tremendous community support for the 10 semifinalists, culminating in thousands of public votes cast for the winning idea. Last year's winner Hugh, a home furnishings shop featuring classic bachelor pad style, received $50,000, in addition to a suite of donated services from individuals and companies to help the shop "hatch" and thrive. Hugh will open for business in fall 2012. This year, the Comerica Hatch Detroit Contest is set to be bigger and better than last year with even more of a local impact. More than simply a competition with one winner, the effort will delve into the community to provide resources to small business owners and serve to inspire entrepreneurship in the region. "Comerica is committed to the City of Detroit and to supporting the small businesses that are a driving force in MichiganAs economy," said Thomas D. Ogden, pressident, Comerica Bank Michigan. "As a bank that has a stake in the future of our region, we are proud to make this investment in Hatch Detroit, and in the city and communities we serve." 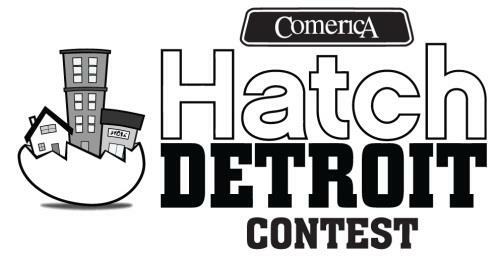 Hatch Detroit expects to begin accepting applications for the Comerica Hatch Detroit Contest on June 1, 2012. Further details will be announced at a later date. Visit http://www.hatchdetroit.com for more information.